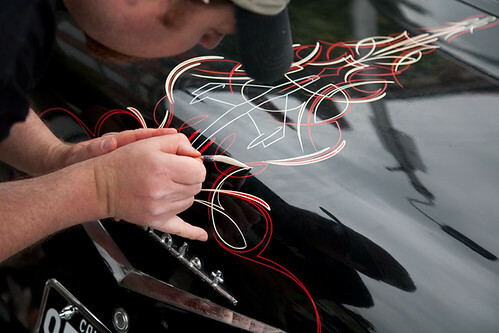 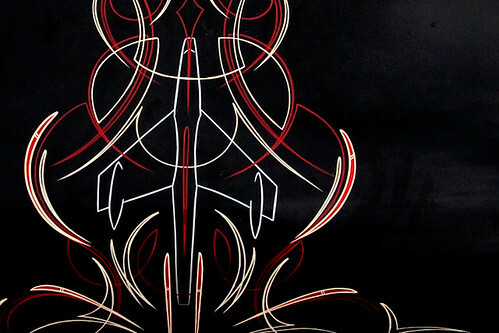 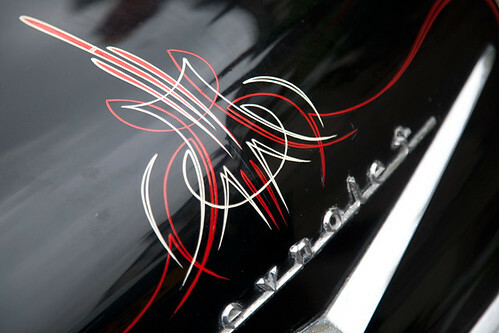 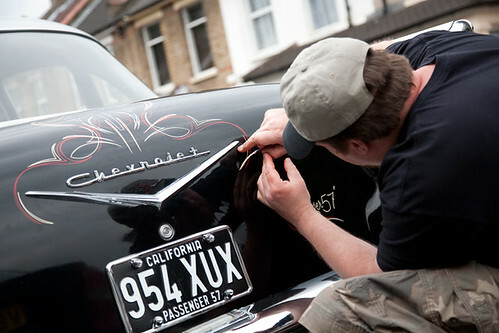 Had a visit from Nefarious (Simon) today - www.pinstriping.co.uk who did a great job. 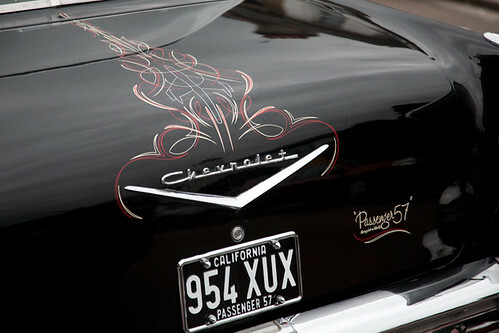 I wanted to incorporate the hood bird from a 55 Chevy into the design as the 57 is the only Tri Chevy without a bird. 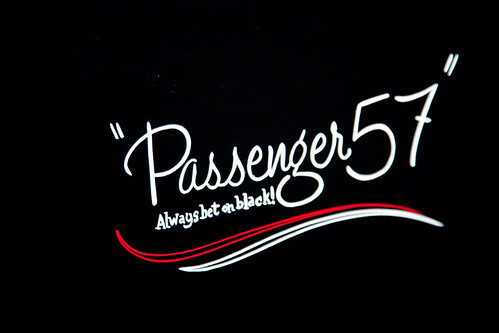 It also fits with the Passenger 57 name of the car.